You know when Stan Collymore joins a company, that things are going to be anything other than boring! Well luckily for you, BoyleSport can spot a cheeky punt just as well as they can spot an employee who can keep it relevant in the online gaming industry. 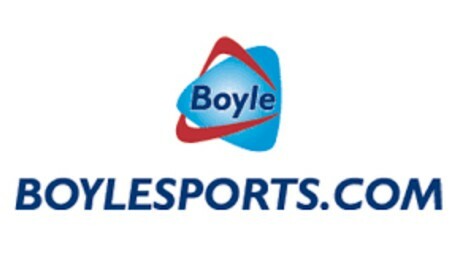 As Ireland’s second biggest bookmaker, Boylesports offer customers far more than just Collymore’s weekly predictions and lively banter are there is a great deal of substance to be found within the site. The bookies offers you a range of sports and events to bet on from American football, hurling, football and darts to cycling, MMA and even TV show outcomes. All of this means that you have plenty of chances to get your hands on some juicy winnings from the bookmaker. If all of that isn’t reason enough to get involved with Boylesports then there is also their vast array of in-play offers as well as free bet for you just for signing up, let’s take a looks at the details. As a new customer you must place a £10 bet or more at odds of at least evens (1.5) within seven days of registration to receive a £10 free bet. Then get a free bet equal to the average of your next 3 qualifying bets up to £10 until a max of £40 more has been released. Any free bets credited to a customer’s account can be used by selecting the option to bet using free bet tokens which will appear on the bet slip. The free bets expire seven days after they are awarded and do not count as qualifying bets toward earning the next week’s free bet. Free bet stakes are non-withdrawable but any winnings associated with their use can be withdrawn as normal straight away. Those winnings will never include the original free bet stake. Assuming that you’ve predicted correctly and bagged your bet winnings then you can go ahead and bank them. BoyleSports Free Bet Review – What A Beauty Of An Offer!